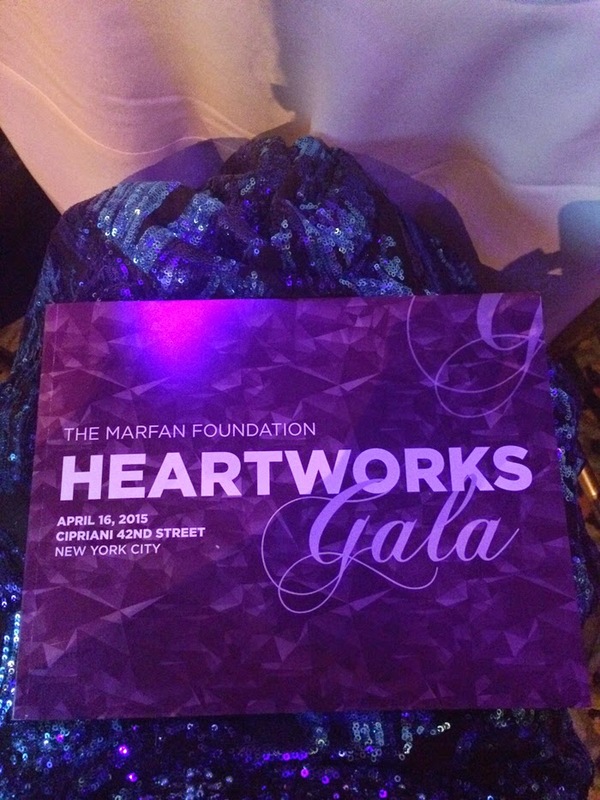 The Marfan Foundation’s 15th Annual Heartworks gala was a glamorous affair to remember, partially for its decadence but more so for the unforgettable stories and speeches from people whom Marfan syndrome has affected. 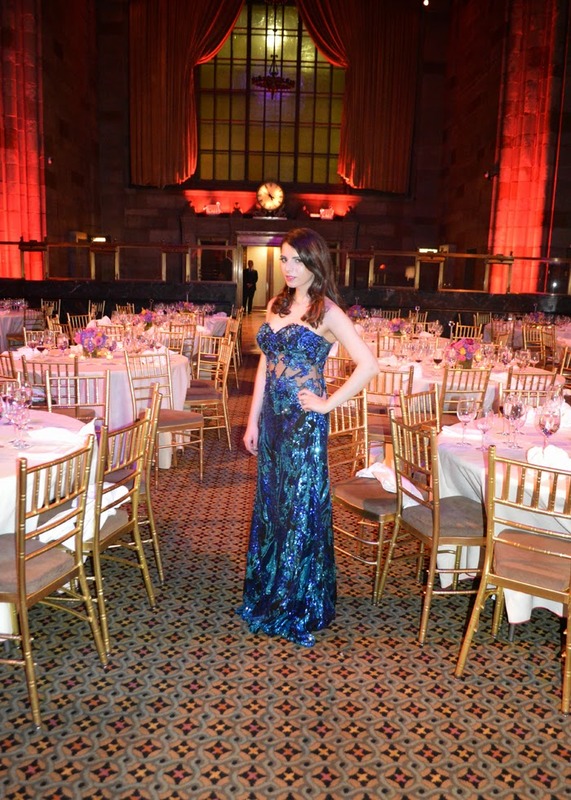 The star-studded gala was held at Cipriani on East 42nd Street in New York City and included a cocktail reception, silent auction, live performance, dinner and an awards ceremony. 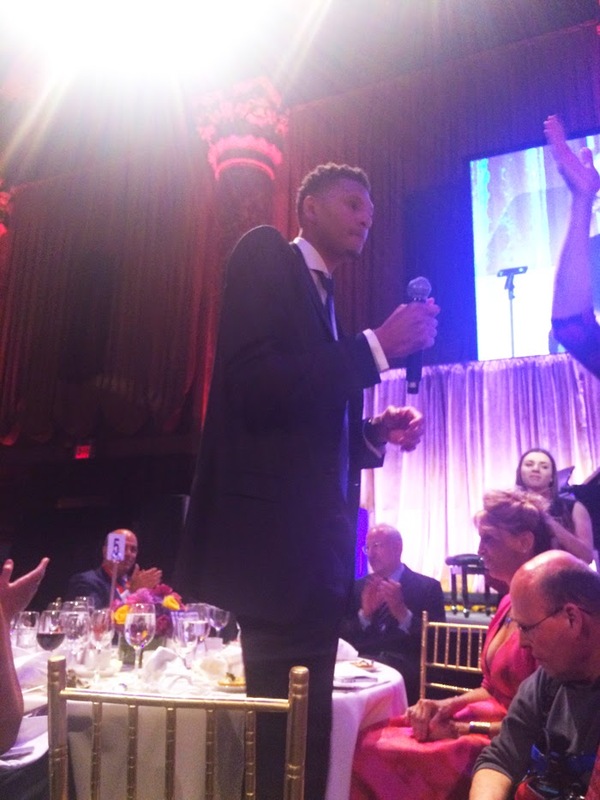 This year the Marfan Foundation honored Isaiah Austin, the former Baylor University basketball star, and Carolyn Levering, Emeritus CEO of The Marfan Foundation, with its 2015 Hero with a Heart Award. 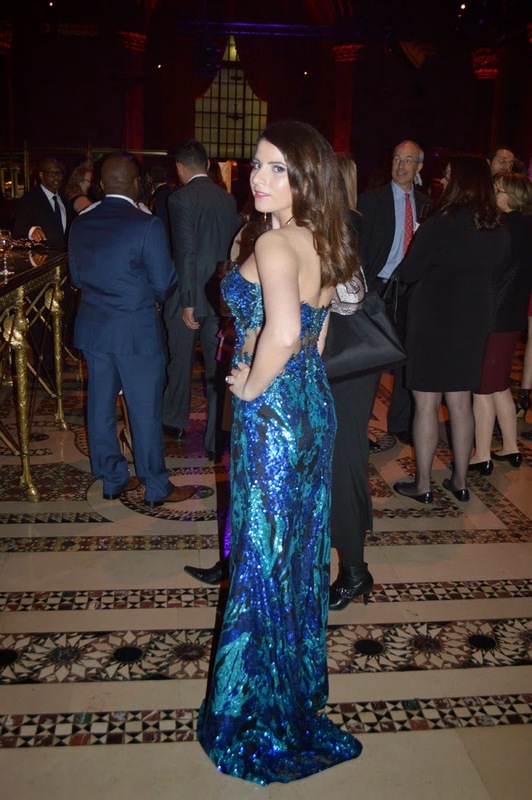 Special guests included Former NY Knicks standout Walt “Clyde” Frazier, Former NYC Mayor Michael Bloomberg, actress and dancer Bebe Neuwirth; and several members of the New York Knicks. 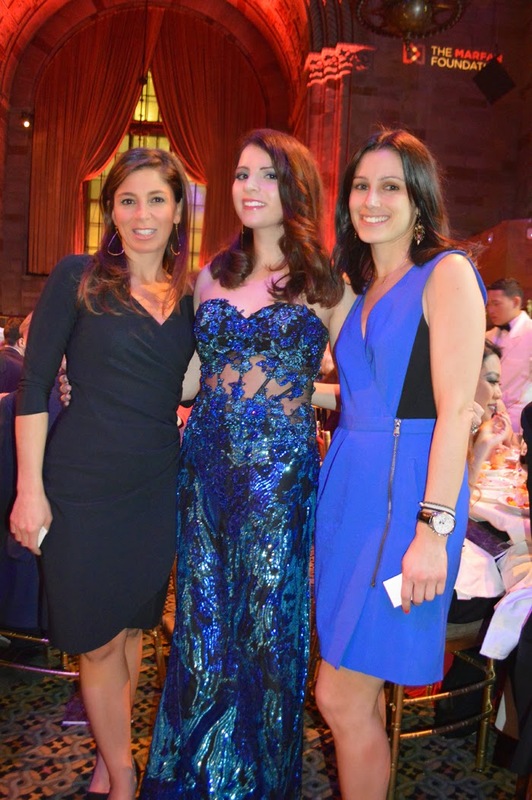 Additionally, the who’s who of business and philanthropy were also in attendance to lend their support. Tony Award-winner James Naughton was the master of ceremonies, with support from broadcasters Jill Martin and Janice Huff who assisted with the presentations. 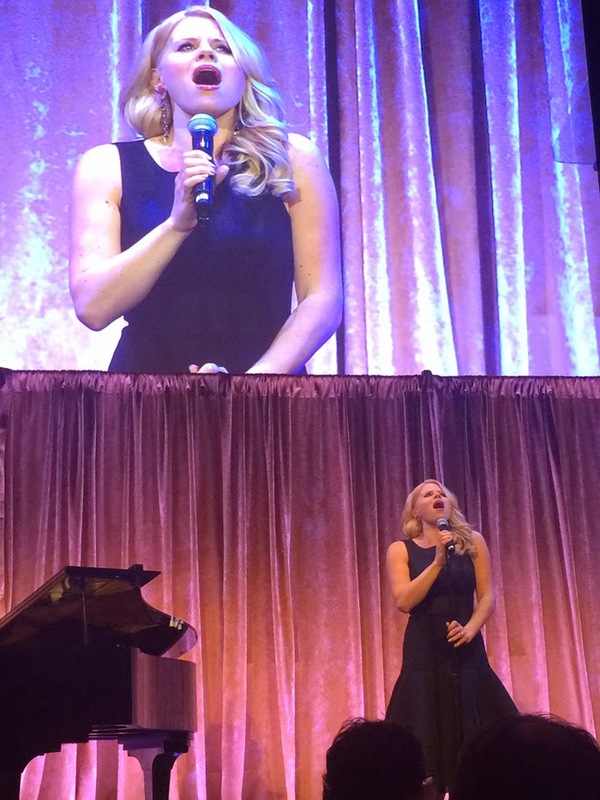 Megan Hilty, famous Broadway and television actor and singer entertained the crowd with jaw dropping performances. 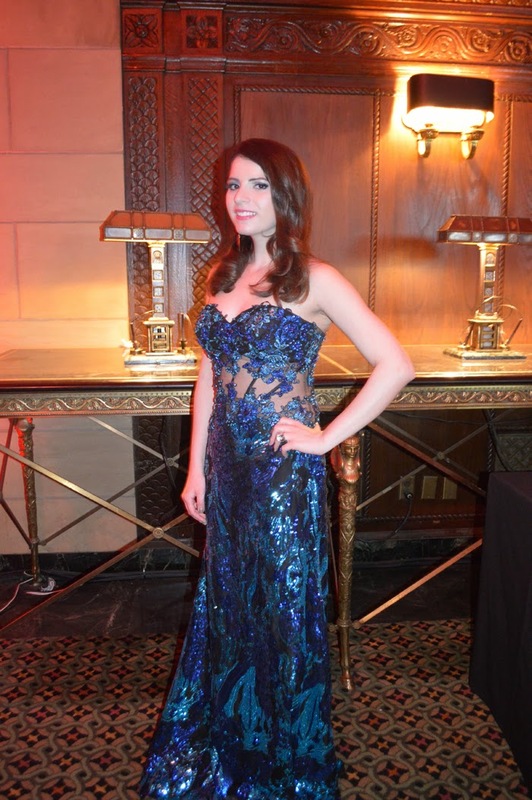 Sponsors of the event included the American Heart Association, CRBE, Cushman & Wakefield, Macy’s, Nautica, Univision, and VF Sportswear. 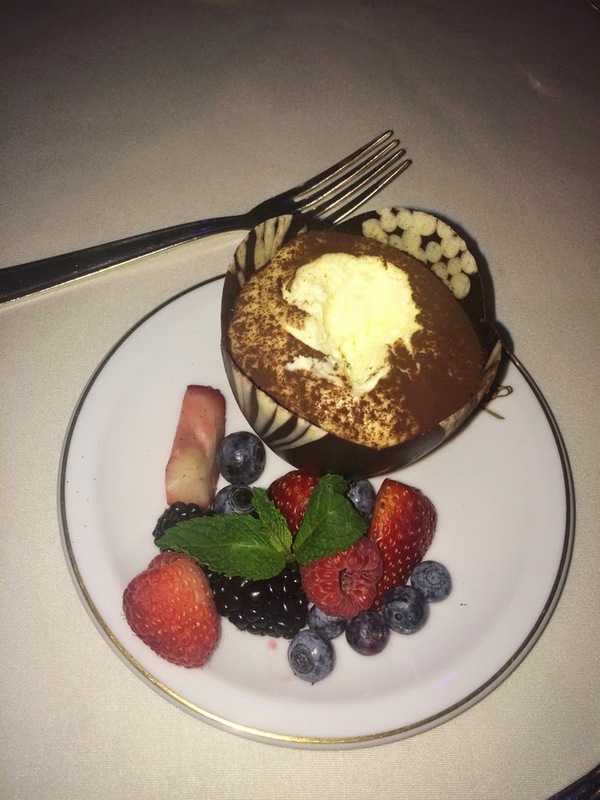 The Marfan Foundation creates a brighter future for everyone affected by Marfan syndrome and related disorders. It works tirelessly to advance research, serve as a resource for families and healthcare providers, and raise public awareness. Marfan syndrome is a life-threatening genetic disorder of the body's connective tissue. It affects the heart and blood vessels, the bones and the eyes. Knowing the signs is the key to early and accurate diagnosis and life-saving treatment. 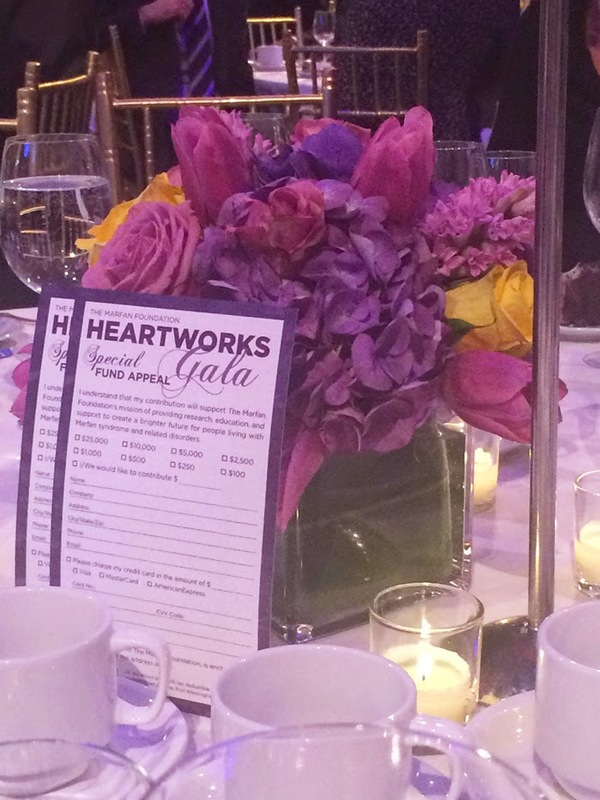 The 15th Heartworks gala raised over $1.2 million dollars that evening. 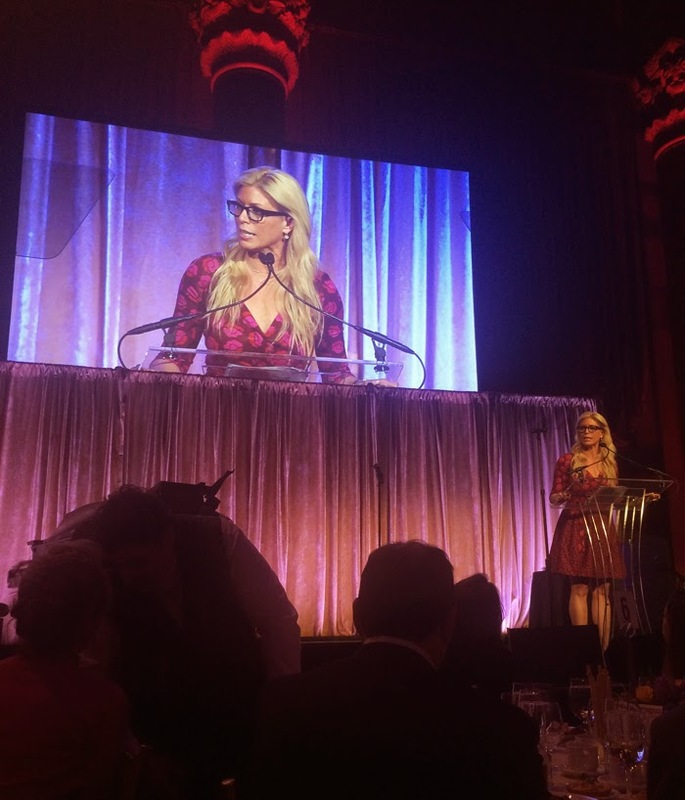 The funds will benefit the Marfan Foundation’s efforts to provide education, patient support, and research to create a brighter future for people living with Marfan syndrome and related disorders. Learn more and get involved at www.marfan.org. A few hours before the gala I went to the Caravan team at the Carlton hotel to get my hair and makeup done for the big night. Caravan Stylist Studio, is an innovative wardrobe and beauty studio that pairs actresses, tastemakers and media influencers with top fashion designers. I was so excited to get beautified again by Caravan’s incredibly talented Valerie Star. 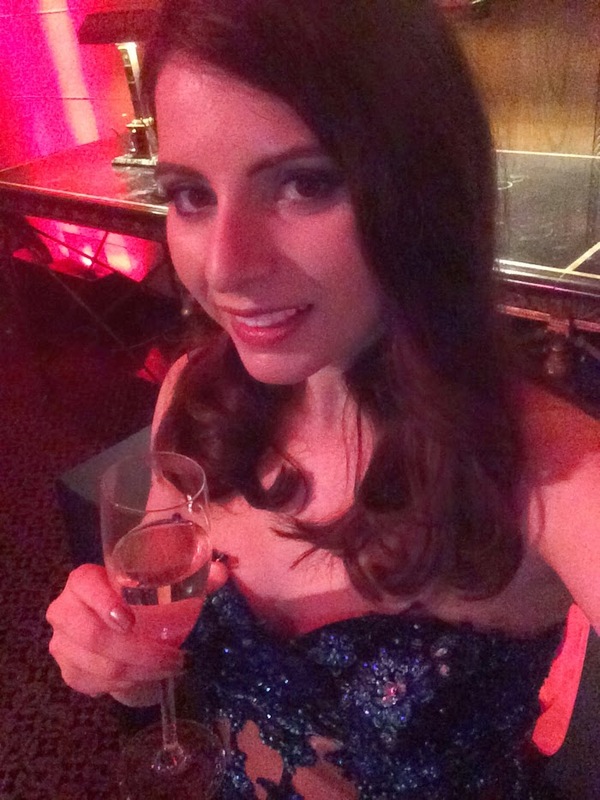 During my makeover Valerie introduced me to a host of cool beauty products that included the above Foreo facial cleansing device (it was awesome to wash my face with) and Physician’s Formula Va Va Voom Mascara. Valerie’s inspiration for my look was 1940’s bombshell Veronica Lake. It was fascinating to watch Valerie meticulously curl and strategically position every strand of my hair for the perfect Old Hollywood look. 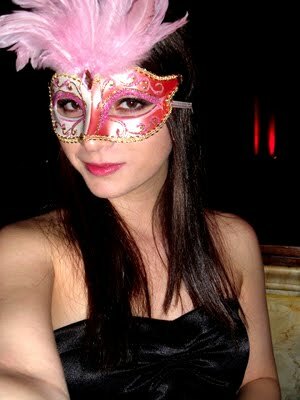 Makeup was even more exciting as she did contouring on my face and applied the most elegant faux lashes. 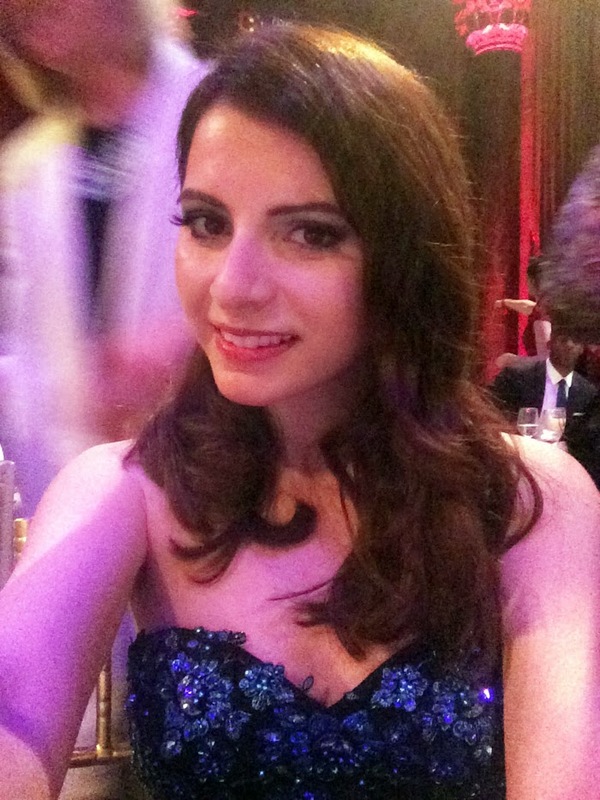 Thank you so much Valerie for making me look so glamorous for The Marfan Foundation Gala! 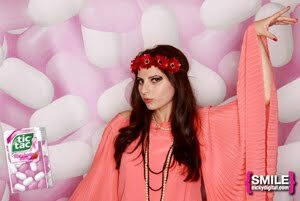 Special thanks to Caravan’s amazing brands: Nymbrands, The Lift Lab, Color Club Nails, Vaseline, Fake Bake USA, Luna Bar, Volvic, Belvoir, Infusion Company, Forea, LeSportsac and Physicians Formula. 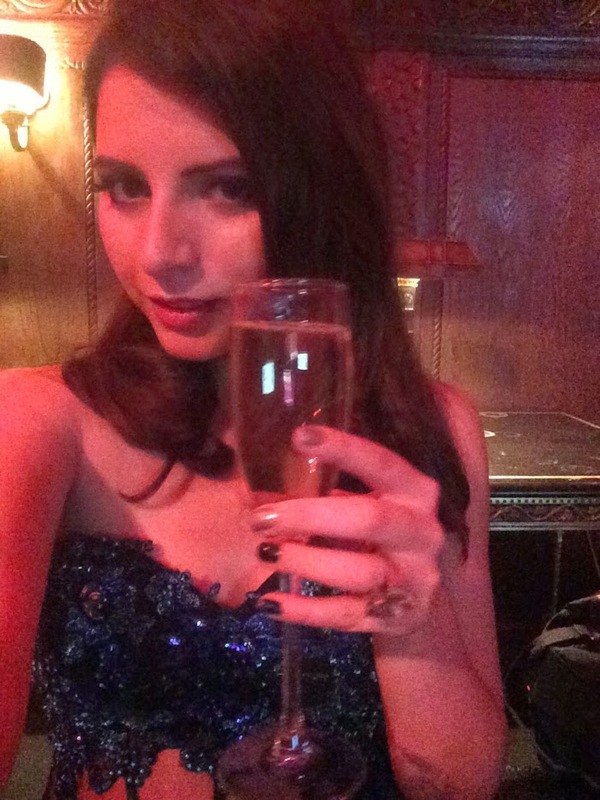 The evening commenced with a lovely cocktail hour and red carpet for guests of honor. 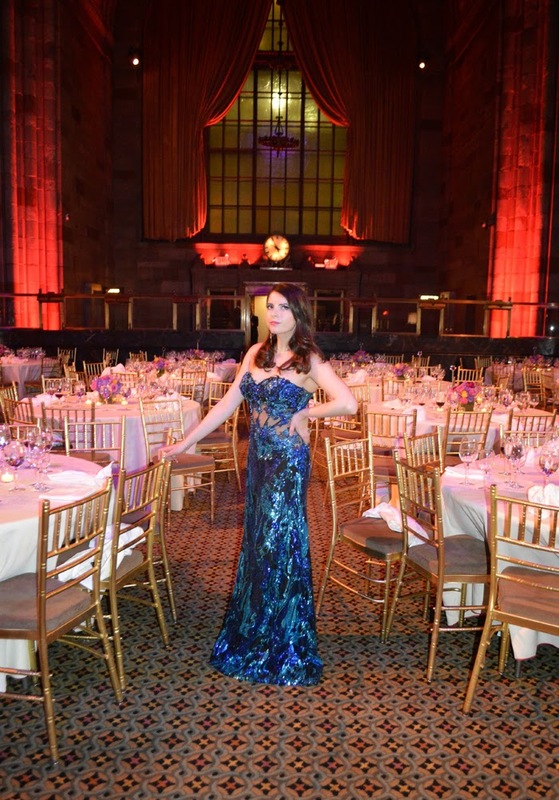 It was such a dream to walk around Cipriani’s beautiful venue with its Italian Renaissance inspired décor, towering marble columns, decadent ceilings and sparkling chandeliers. 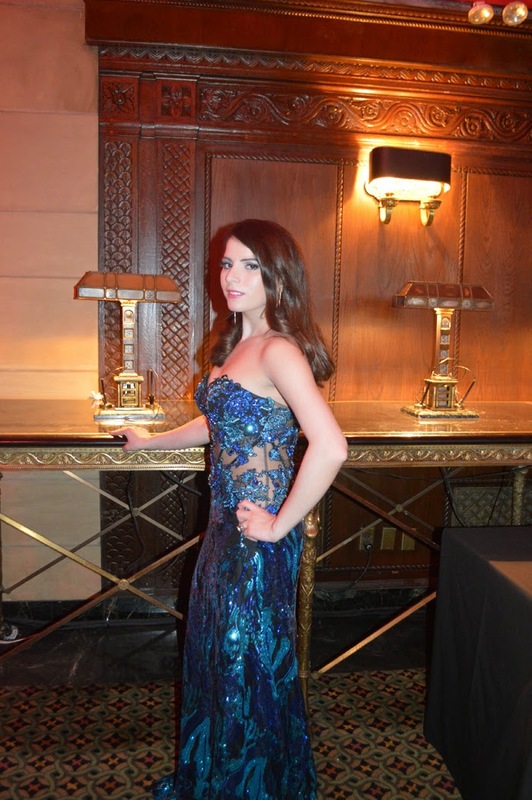 I wore a royal blue/turquoise sequin gown from MORRELL MAXIE’s new Spring 2015 collection. 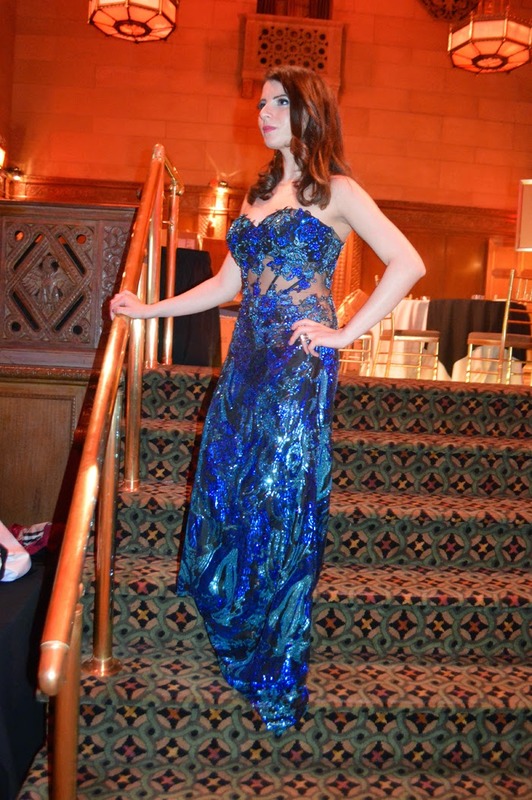 Back in college I had a chance to model one of their beautiful gowns at the NYU fashion show. 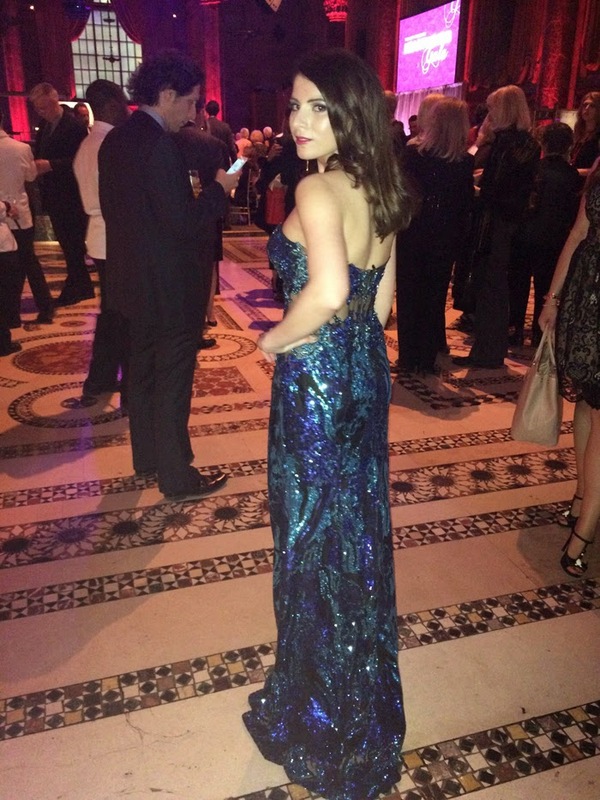 Now, I saw the perfect opportunity to wear their striking designs once again for The Marfan Foundation gala. 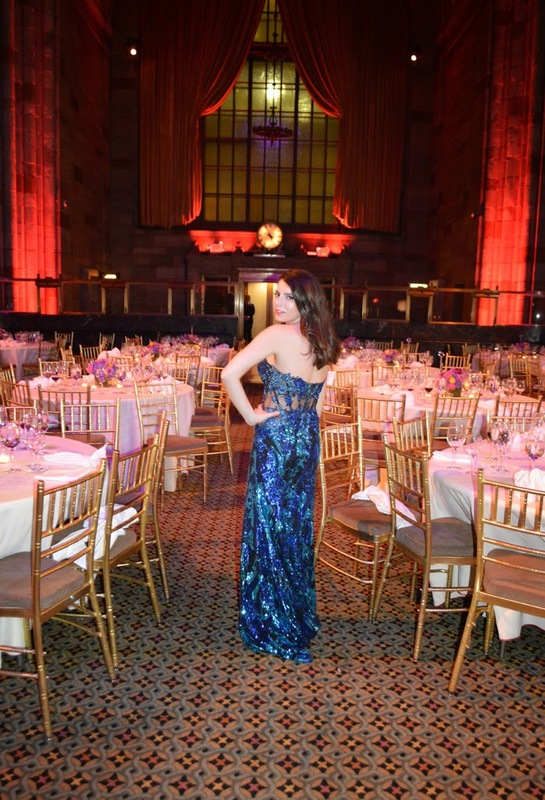 It turned out to be the perfect choice as the shimmering royal blue sequins on the gown stood out brilliantly against Cipriani’s redish lights. 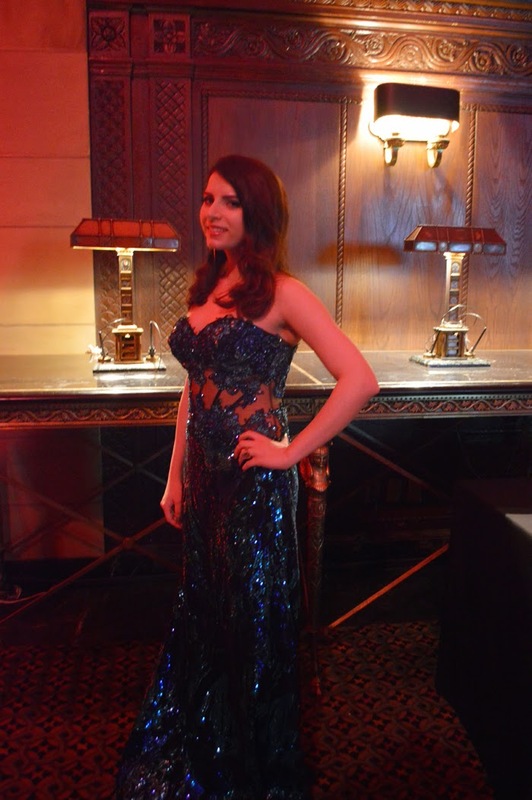 I loved everything about the piece, especially the sheer corset like design in the middle. It definitely added a certain je ne sais quoi to the look. 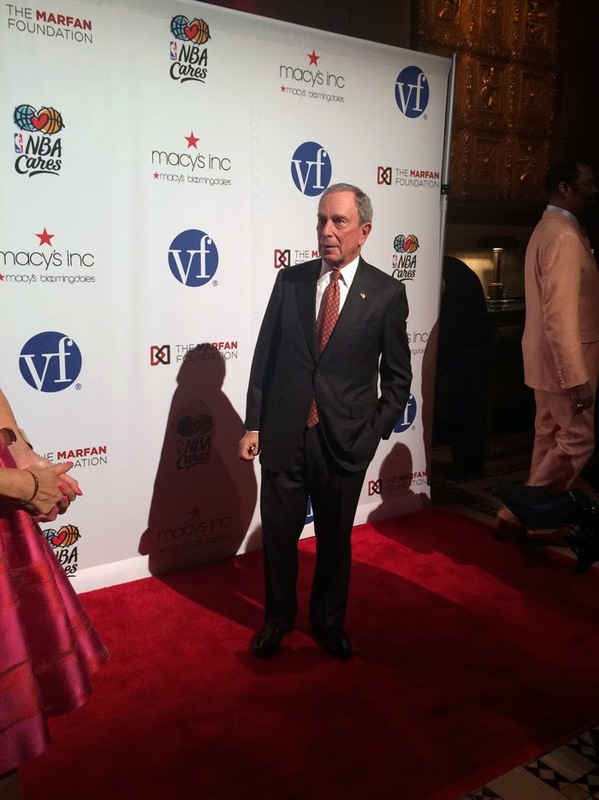 It was exciting to watch the paparazzi snap photos of the star packed red carpet which included Jill Martin, Karen Murray (President of Nautica), Isaiah Austin (2014 NBA Honorary Draft Recipient with Marfan Syndrome), Michael Bloomberg, Walt Clyde Frazier, Carolyn Levering (Emeritus CEO of The Marfan Foundation), and James Naughton (Tony Award Winner). I was so excited to meet Nina Flood, VP of Marketing & Strategy at Nautica and Amy Reinitz, Nautica’s Senior Manager of PR and Media. Thank you so much Amy for extending the invitation for me to be a part of this momentous occasion. 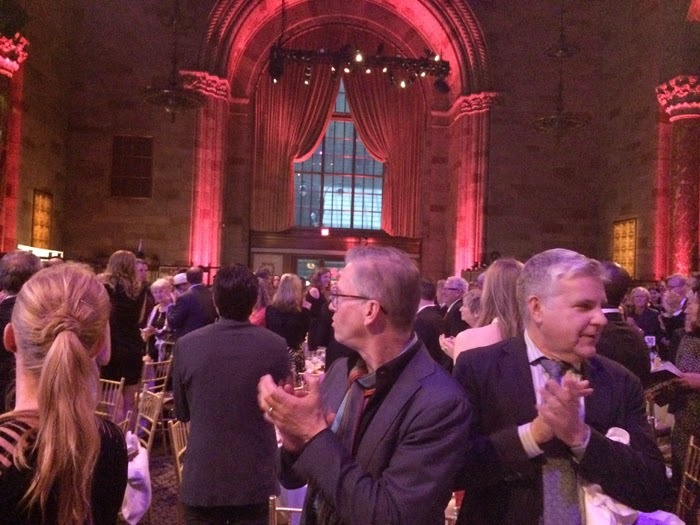 As the cocktail hour drew to a close, an announcement was made to take our seats for the dinner, live performance, awards ceremony and silent auction. 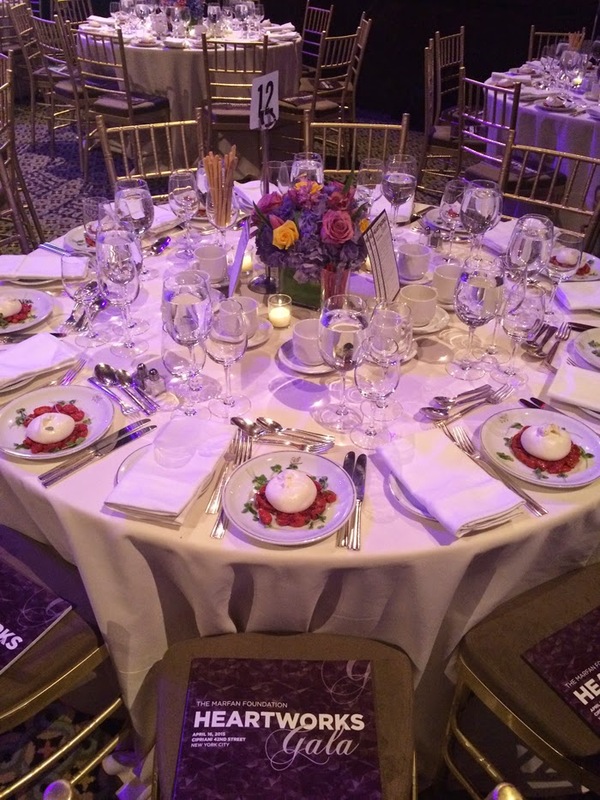 I couldn’t help to stop and admire the stunning table décor. 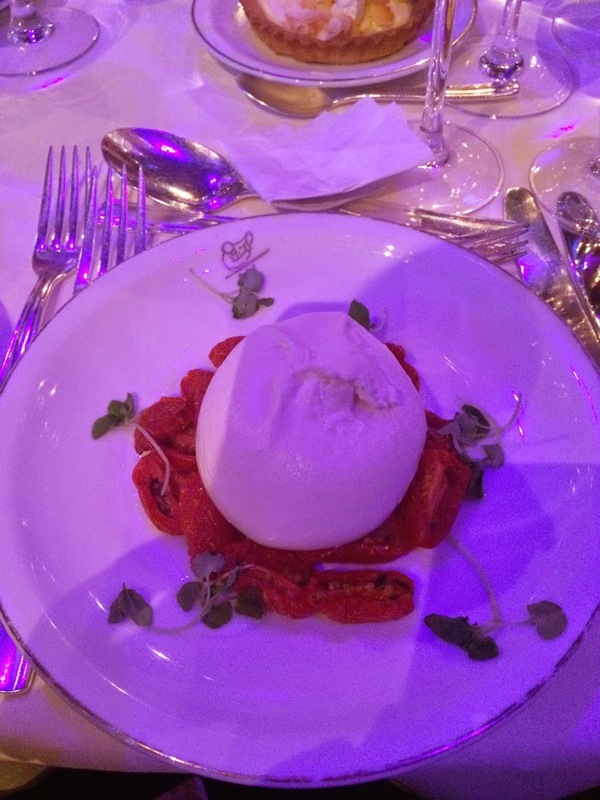 I was especially excited to spot the mozzarella appetizer that awaited guests. 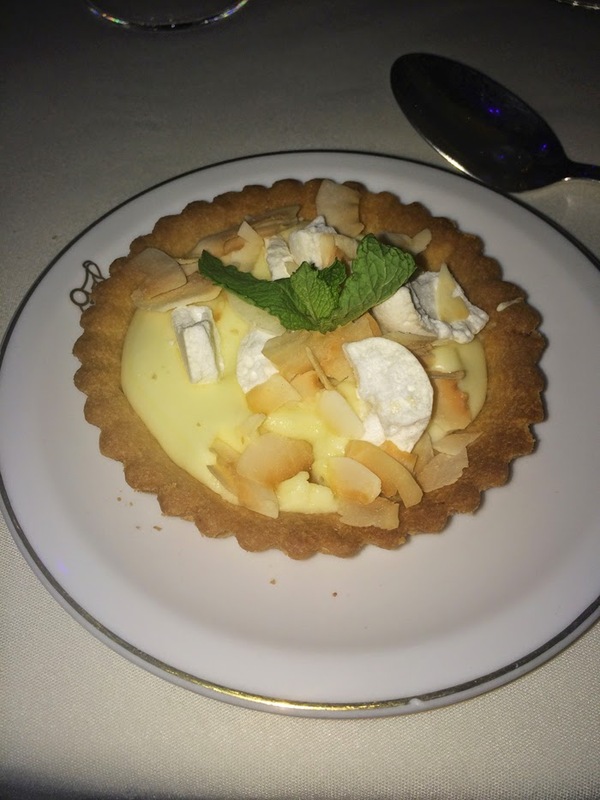 I didn’t have much time to eat that day so I was quite hungry! 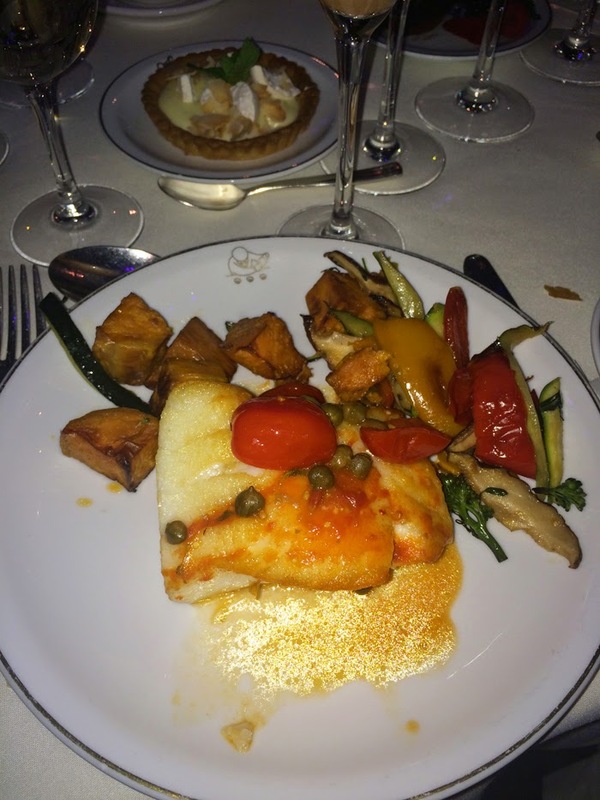 Following the sumptuous mozzarella appetizer, the dinner included delicious fish and veggies as well as a lemon tart and tiramisu for dessert. 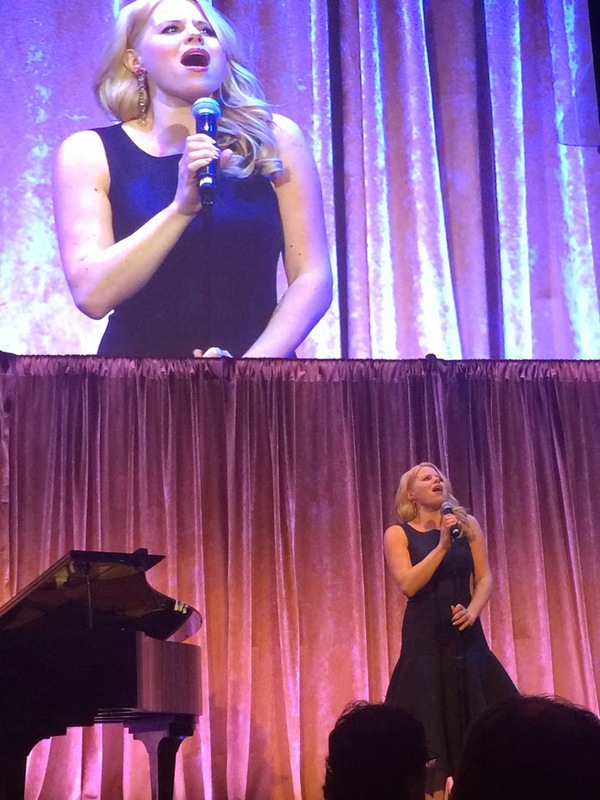 Broadway sensation Megan Hilty serenaded the crowd with her powerhouse voice. I’ve never seen her perform live so it was such a treat to finally have a chance to. 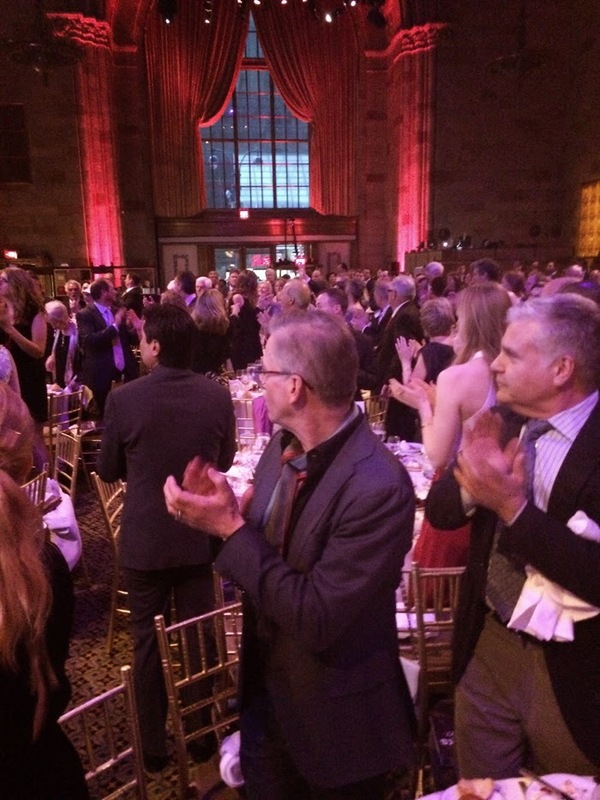 Tony Award-winner James Naughton was the master of ceremonies and came on stage next. 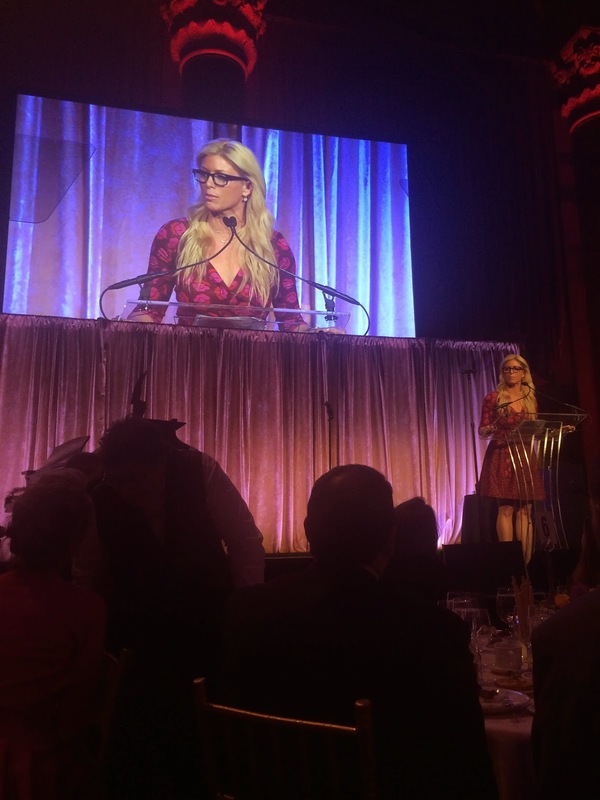 He mentioned how great it was to be back and celebrate the work of the Marfan foundation as well as to recognize those who are of tremendous help to the families in the Marfan community. 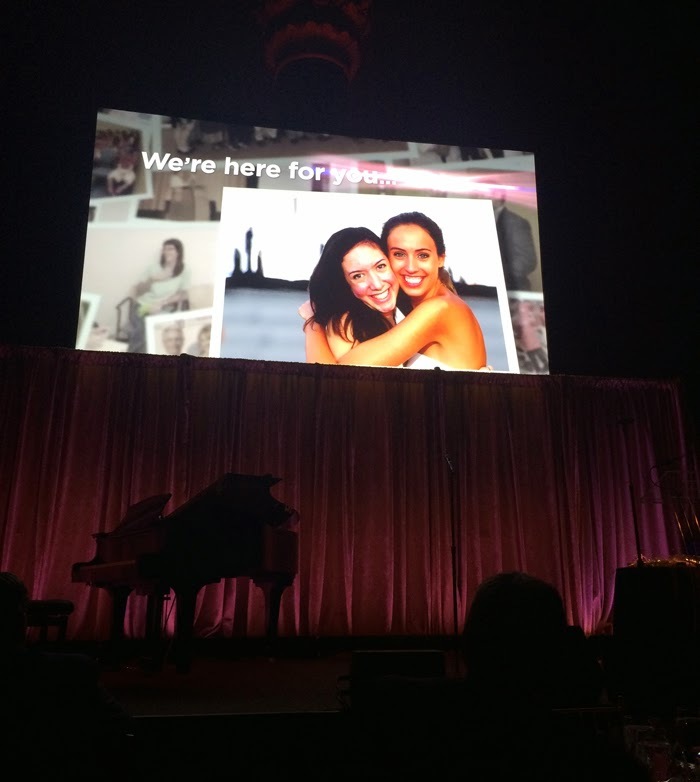 After James’s intro, a video about The Marfan Foundation and Marfan syndrome played for the audience. 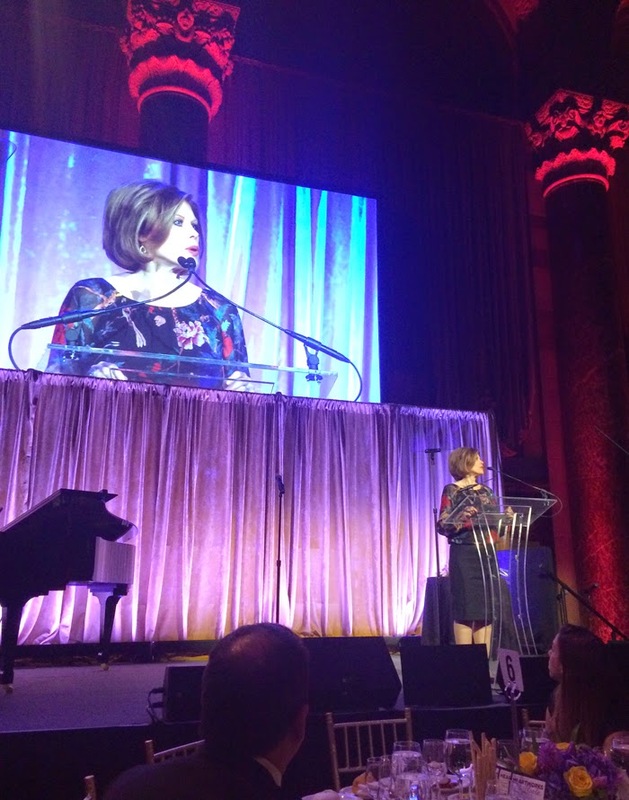 Karen Murray, President of VF Sportswear, and Chair of the Board of Directors of the Marfan Foundation came on stage. 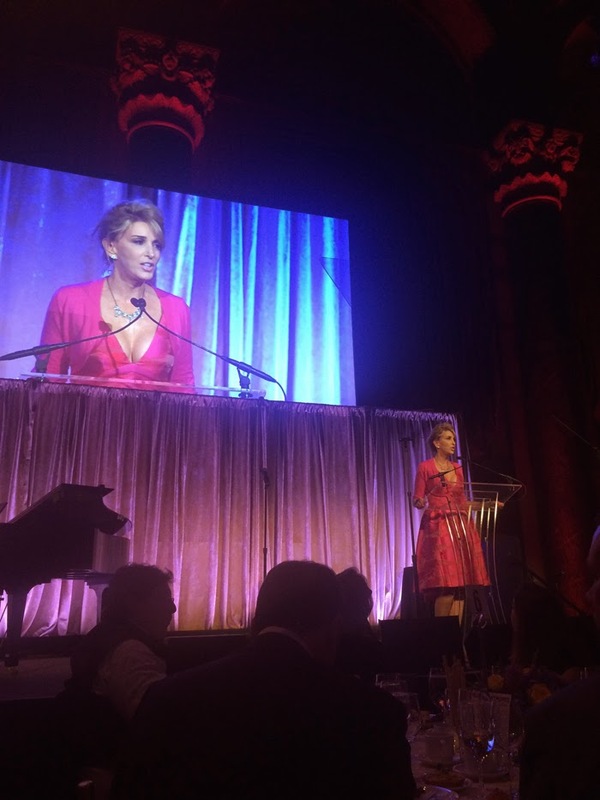 She first thanked everyone who helped put the gala together. She presented the Hero With A Heart award to Carolyn Levering (Emeritus CEO of The Marfan Foundation) who’s been involved with the foundation for over twenty years. Karen mentioned when Carolyn first started she had a staff of three working on all aspects of the Marfan mission of education, patient support and research. She concluded that it was Carolyn who was instrumental in growing each area of the mission and as the foundation grew so did the number of people who were saved and whose lives were enhanced. 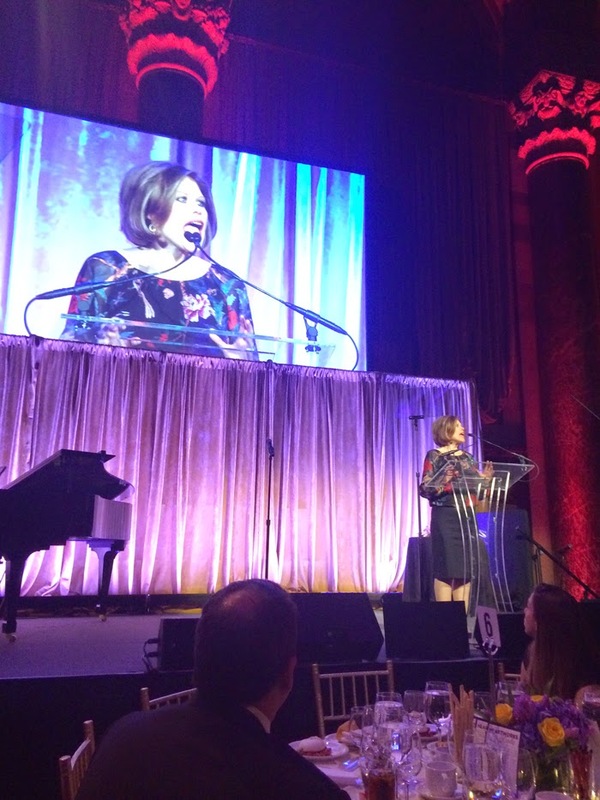 Carolyn Levering graciously accepted the Hero With A Heart Award and spoke about the generous donors and partners who’ve helped propel The Marfan Foundation. She also mentioned of the first time she met Karen Murray and how Karen was looking for more information about Marfan for her son. 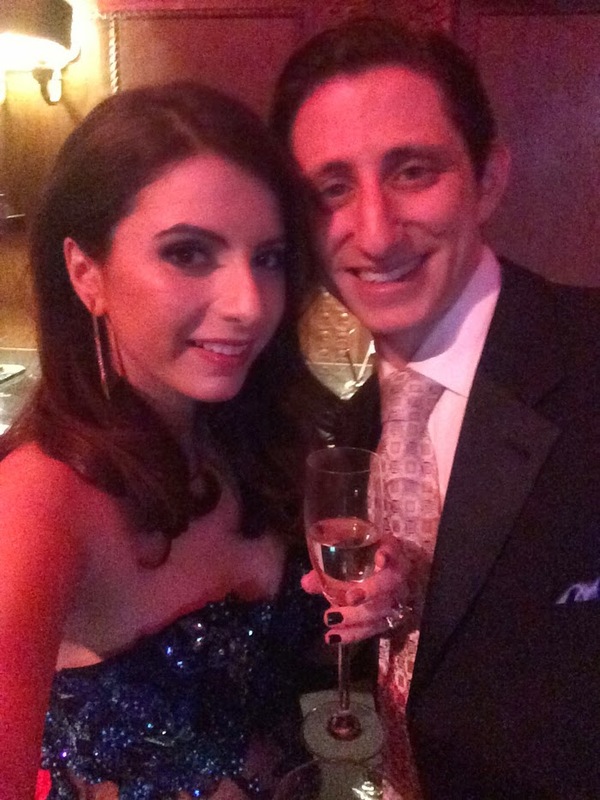 Karen ended up hosting Marfan’s very first fundraiser at her showroom, which turned out to be a great success. 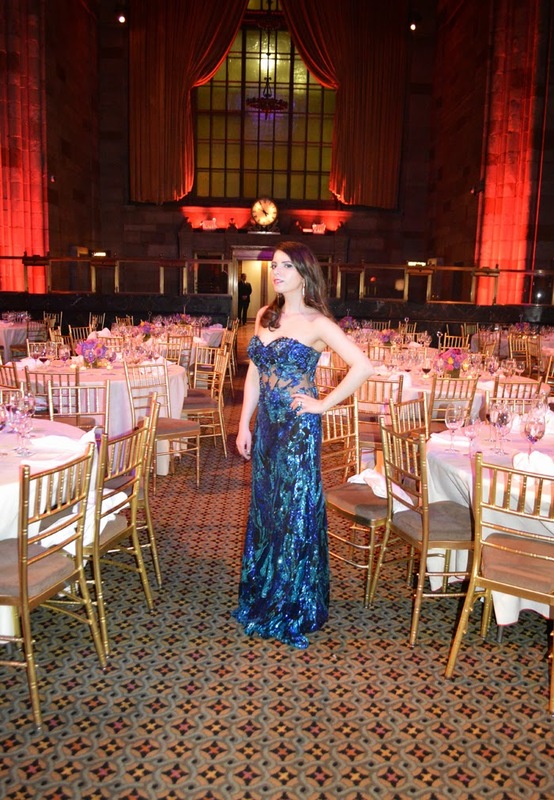 Karen has has been a tremendous asset to The Marfan Foundation ever since. Jill Martin took the stage next and asked the audience to do ‘jazz hands’ so she could post the picture to her Twitter. 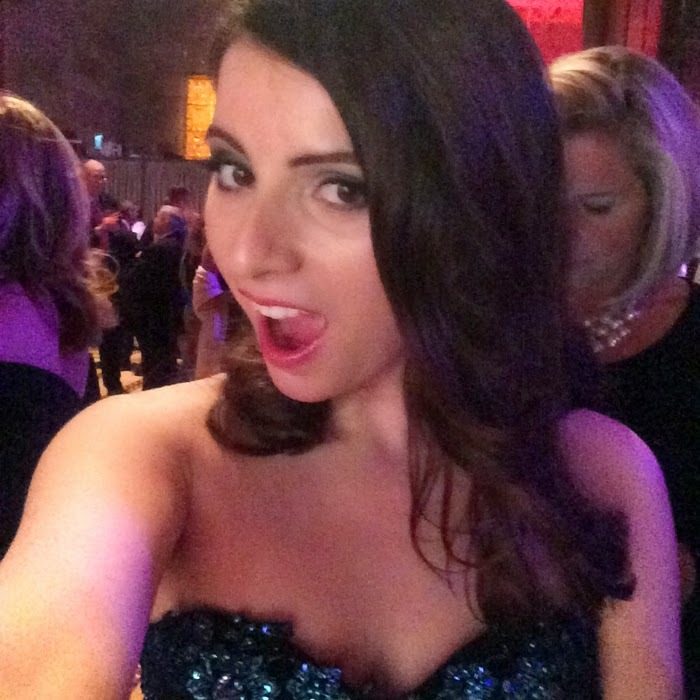 Jill is a NYT Best-selling author, a Today Show contributor, and a broadcaster for the New York Knicks. She presented the Hero With A Heart award to Isaiah Austin right after his video intro. 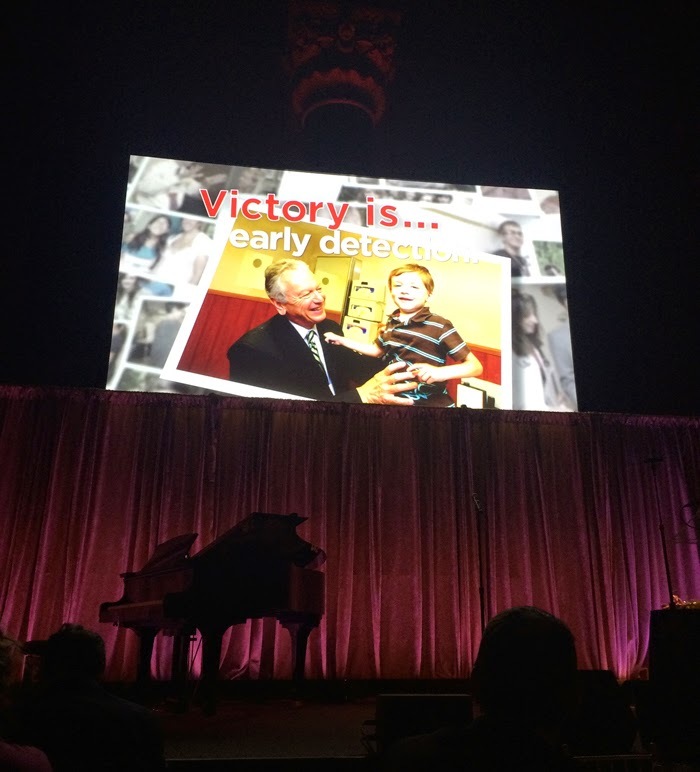 A video of Isaiah’s journey started to play. Just after his big announcement to enter the 2014 NBA Draft as a first-round prospect, Isaiah Austin was diagnosed with career ending Marfan syndrome. He was in his sophomore season playing center for the Baylor Bears when he learned of this life-altering news. Vowing to not let this stop him from living out his dreams, Isaiah turned the heart-breaking news into something positive: he began the Isaiah Austin Dream Again Foundation, which helps to share his story and build awareness and research for Marfan syndrome. Shortly after learning of his diagnosis, Isaiah also met with The Marfan Foundation and became even more determined to help raise additional awareness about Marfan syndrome. 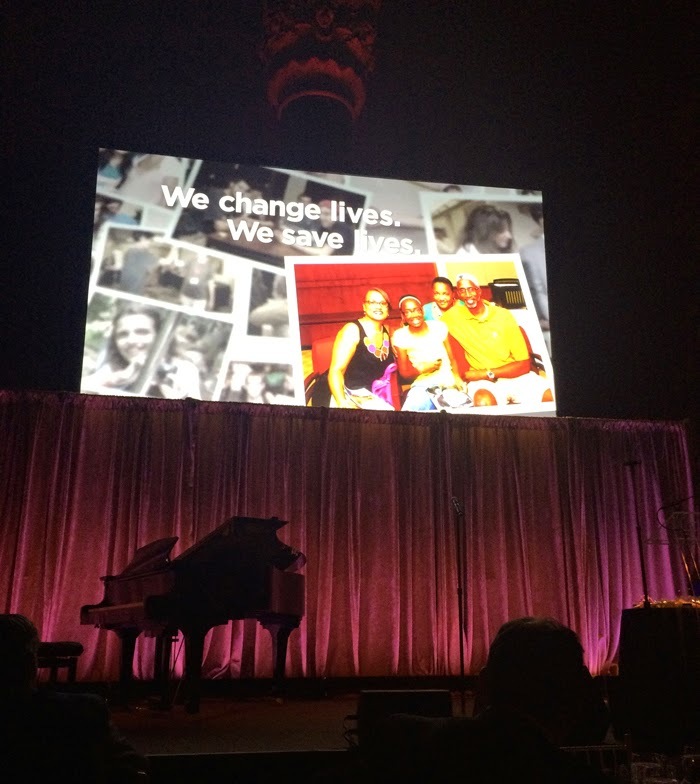 Isaiah took the stage to accept his Hero With a Heart Award. He started by saying how he wanted to thank god for putting him in this position in the first place. He enthused, “My whole life I had dreams of becoming a basketball player. I was just a basketball fanatic. I really knew that I just wanted to chase the dream ever since I laid hands on a basketball.” He quoted Proverbs 27:17 which says “As iron sharpens iron, so one man sharpens another.” He mentioned how the Marfan community sharpened him in his time of turmoil. Isaiah continued to thank god for putting him in this position to touch and change lives. Janice Huff, WNBC-TV chief meteorologist came on stage to introduce the silent auction efforts. 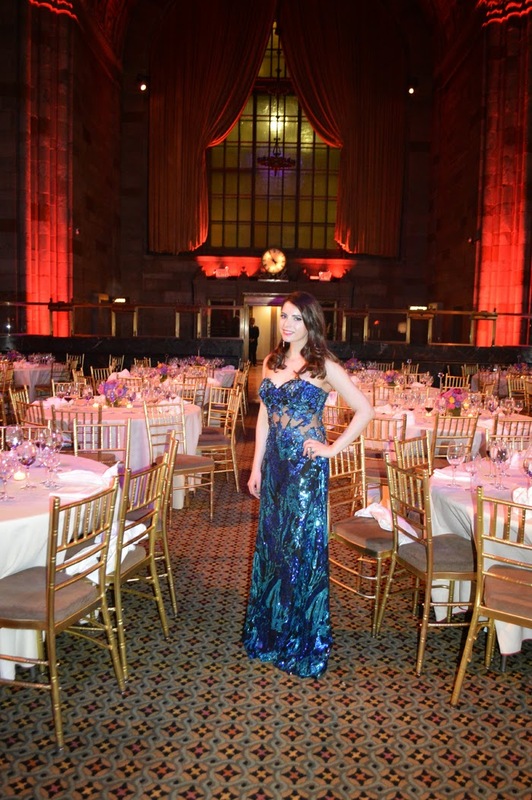 Money raised from the auction will be used to help fund year-round support for children and teens affected by Marfan syndrome and related disorders. One of the biggest donations of the evening came from Isaiah Austin who valiantly stood up to contribute $10,000 to The Marfan Foundation. It was exciting to capture the moment as I was seated adjacent from Isaiah’s table. 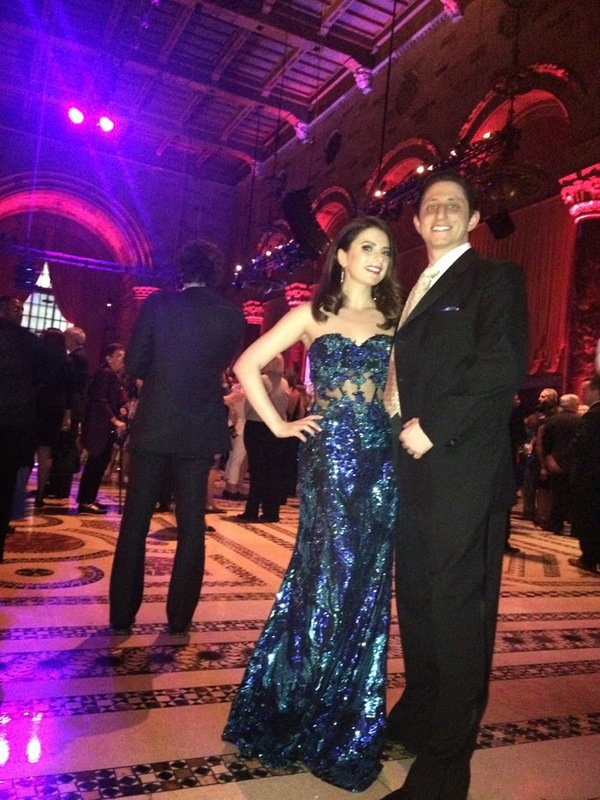 Additional support flooded in from all over the room and over $1.2 million dollars was raised that evening. 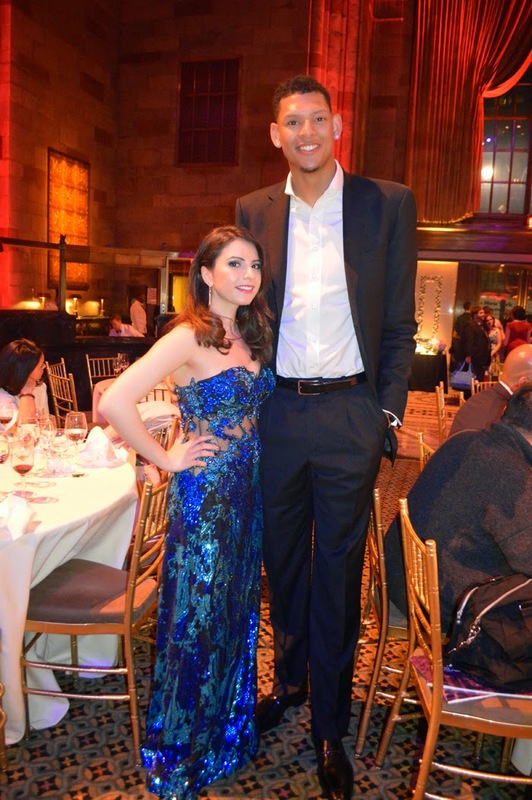 One of my absolute favorite people to meet was the star of the evening, Isaiah Austin. 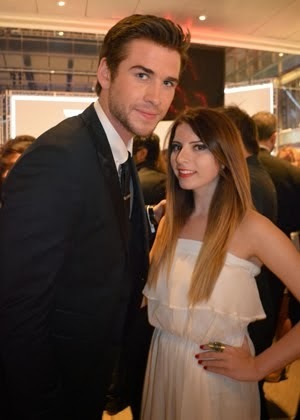 He was so gracious and kind. I was completely in awe of his speech earlier and told him how inspired I was by him. He’s a prime example of someone who’s used a horrible situation and turned it into something incredibly good. Kipling provided awesome gift bags for guests filled with goodies from the evening’s corporate sponsors. 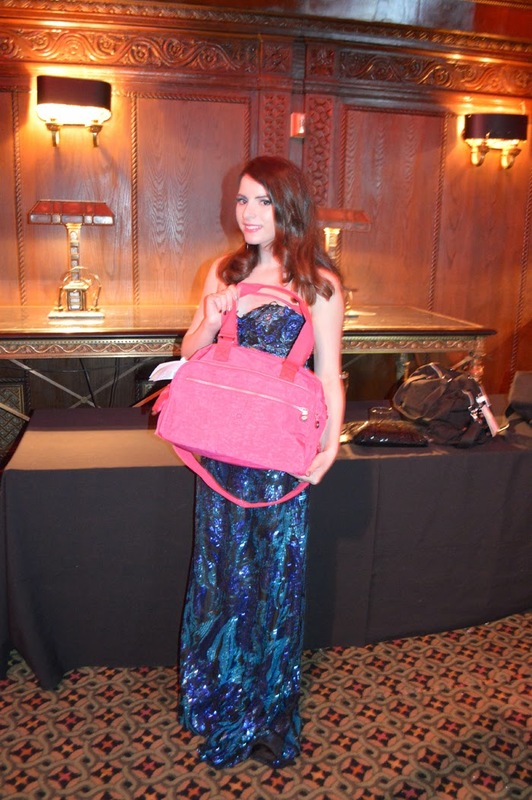 Guests had an opportunity to choose the duffel bag in a variety of colors. 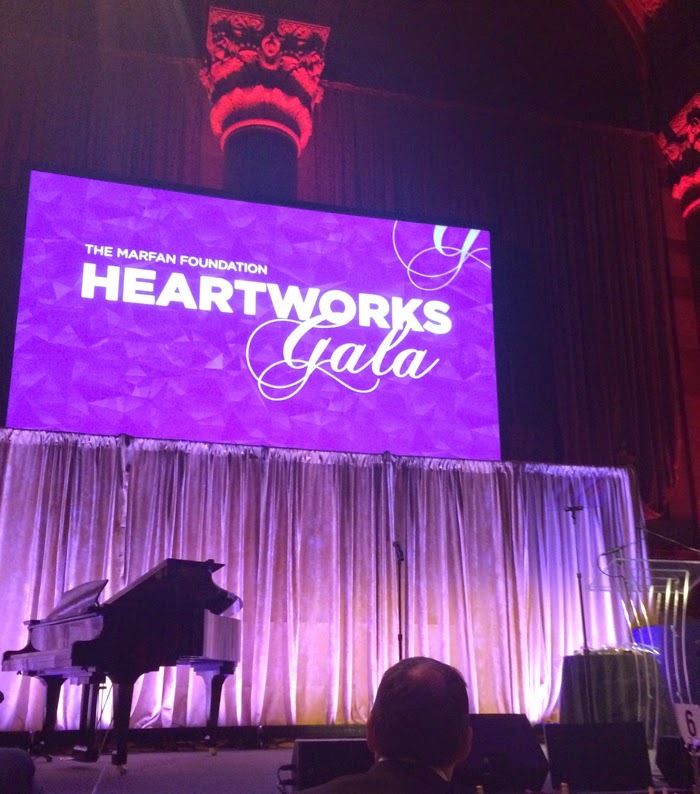 Thank you so much Amy and The Marfan Foundation for including me in the incredible 15th Heartworks Gala. I didn’t know about Marfan syndrome prior to this so the evening was truly a great eye opener into the amazing work that you do.